No doubt, Madeira is a fishing paradise for passionate fishermen, who will value and appreciate this region for its stunning variety of extraordinary fish species. 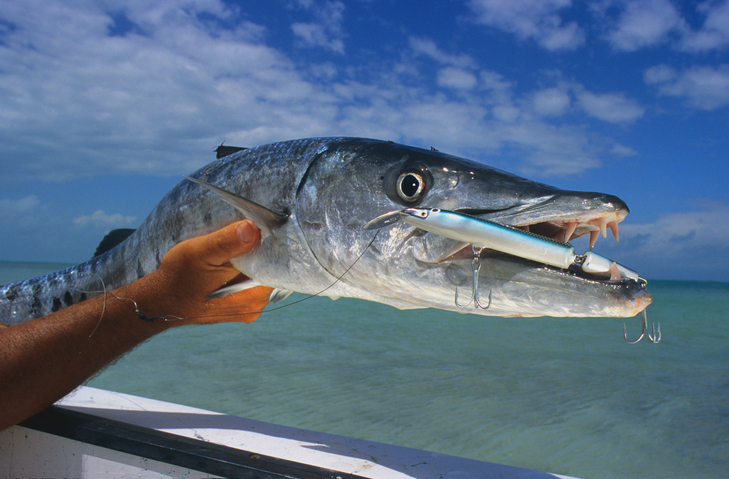 For Barracuda fishing, boat charter barracuda fishing offer unforgettable fishing trips to flat water areas inshore (along shorelines) or to offshore fishing grounds, where the Barracuda is most likely to be spotted. The ideal time for Barracuda fishing Madeira is during the warmer seasons between April and October. For both the expert fisherman and the amateur, sportfishing for the Barracuda constitutes a fascinating opportunity to experience the ultimate fishing challenge. Varying in size from 0,5 metres to up to 2 metres, this extremely agile fish with its elongated body is capable of speeding across the waters at over 40 km/hour. Its appearance is dominated by distinctive features like its powerful jaws, very sharp teeth and a narrow, long-stretched head, all pointing out its aggressive and formidable nature. Due to its size, the Barracuda has hardly any predators apart from the shark. Being a fierce predator itself this extremely mighty fighter will run long stretches and perform impressive high jumps after it has got hooked, making Barracudas ideal for big game fishing. On board the “Dream Catcher” passengers are certain to take advantage of the excellent equipment, which will allow them to enjoy their Barracuda fishing enterprise to the fullest by spotting and catching barracudas with the help of Raymarine GPS as well as the fishfinder, the most sophisticated fishing tackle and other electronics. Different fishing techniques like light or heavy tackle, spinning, popping, trolling, jigging or drift fishing are available on board. 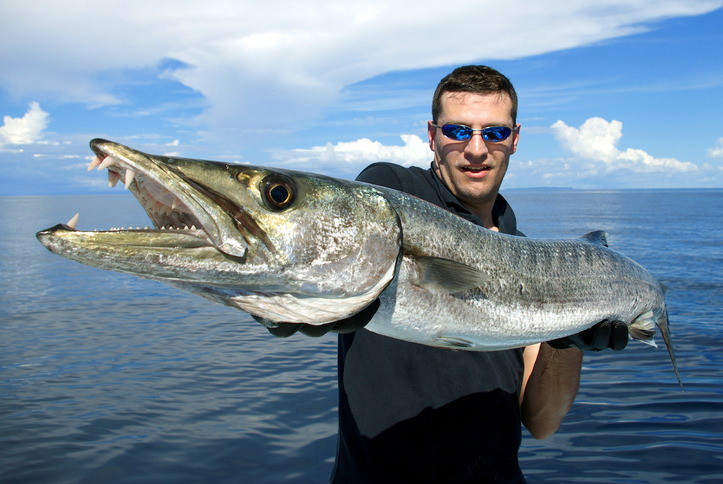 However, for maximum success fishing methods like trolling, casting and still fishing are recommended for Barracuda fishing. Also, artificial baits such as tube lures or braided plastic materials and natural baits such as live fish are perfect options, securing an abundant catch. It goes without saying that fishing licences are provided for all fishermen on board. For private fishing tours off the coast of Madeira with boat charter barracuda fishing the “Dream Catcher” offers half or full day charters in addition to 3 days or 5 days charters, with prices ranging from 600 Euros (half day) to 1200 Euros per day for the entire boat. Any snacks and beverages are included in the price, and the same applies for the bait, live bait and all tackle. In addition to this, passengers are allowed to keep all fish caught and can expect to have their catch cleaned and filleted immediately, a service especially important for the Barracuda, which has to be bled instantly so as to prevent its flesh from turning dark. With a lot of support and valuable advice from the experienced skipper of the “Dream Catcher” passengers will take great delight in fishing for the Barracuda across the coastal waters of handsome Madeira.